Rocky Rex's Science Stuff: Climate Change - What does 'climate' actually mean? Climate Change - What does 'climate' actually mean? 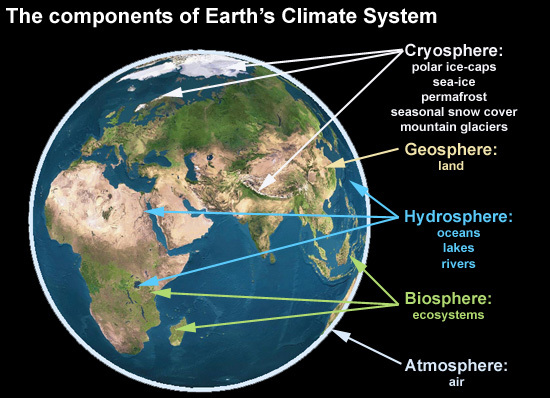 Some people confuse 'climate' with 'weather' - but if 'climate' and 'weather' are the same, why would there be two words? Other people say "We call climate change 'winter' and 'summer'...."
What does the word 'climate' mean? It normally means the average of conditions over 30 years. 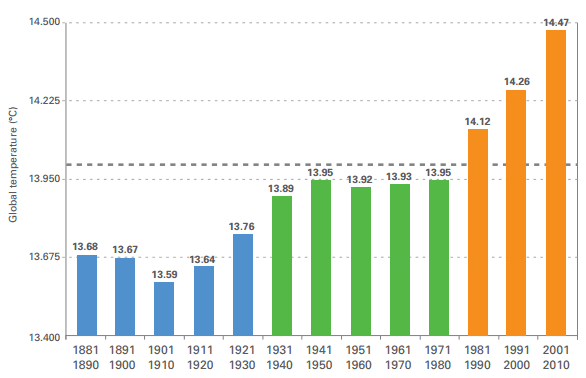 Climate normally means 'an average over 3 conventional decades'. A conventional decade is, for example, 2001-2010, or 1961-1970. So ..... 3 full, conventional decades......such as 1981 to 2010. For example .... rainfall in Ireland. The definition of 'climate' goes back at least 100 years. So if we are discussing climate change, that is what 'climate' means. But in recent times, there has been a lot of variation in global temperatures. So it can be useful to look at single conventional decades. Chart from the World Meteorological Organisation.